Surety bonds guarantee capital, of course; but they also bring with them the expertise of the surety and reputational benefits to the contractors and construction projects that use them. But contractors who benefit from surety bonds should keep in mind they are subject to indemnity agreements that will bite if they fail to fulfill their end of the contract by failing to pay bond premiums and subcontractors or by not completing the project. By entering into a general agreement of indemnity, contractors are placing their cash and real and personal property at risk in the event of a bond default—and even that of their spouse, children, other relatives or business partners if they have also signed the indemnity agreement. 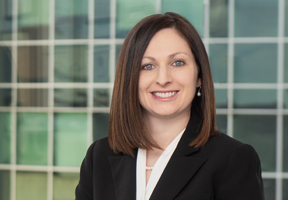 Shoshana Rothman, a partner in the Tysons, Virginia office of Smith Currie & Hancock, specializes in construction law, including representing sureties in the defense of bond claims and enforcing indemnity agreements against contractors when sureties suffer a loss. In the event of a loss, Rothman asks courts to enforce the indemnity agreement against the contractors and other indemnitors so the surety is reimbursed for its loss, which could be the money incurred by the surety to finish the project, payments to subcontractors, or the costs of the bonds themselves. The agreements can apply for years and cover multiple bonds. Business partners, spouses, and other family members can suffer negative consequences if they sign the indemnity agreement and the surety suffers a loss on a bond. Bank accounts, real property up to and including the family home, and personal property are subject to seizure in the event of a court judgment against the indemnitors. Rothman warned against shifting funds from bonded projects to non-bonded projects. She said that this often creates shortfalls for the bonded projects, which could lead to a bond default, and ultimately an indemnity claim. If payments to subcontractors are missed, the subcontractors can make claims on payment bonds, which also lead to indemnity demands by the surety, who may also want to look at the contractor’s books and ask for collateral to be posted to protect the surety from those claims. Collateral could mean cash, real property, and receipts from other projects. Rothman stresses that it is in everyone’s interest for the contractor to complete a project without a bond claim. Rothman says sureties can help if contractors turn to them before it’s too late. Among the steps that sureties can take are help with project funding; completing the project themselves; acting as a liaison between the owner and contractor or contractor and subcontractor on bond payment issues; and requiring that the contract funds be paid to the surety so the surety can pay lower-tier contractors to avoid payment bond claims and the completion of the work by the surety. For more information about the terms and conditions typically found in general agreements of indemnities, see the resources available at www.suretylearn.org.